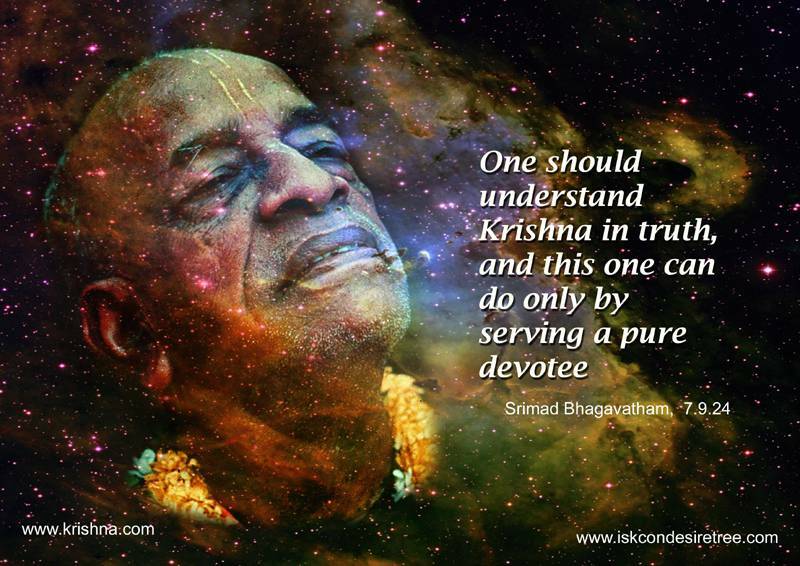 One should understand Krishna in truth and this one can do only by serving a pure devotee. — Srimad Bhagavatam, 07.09.24. 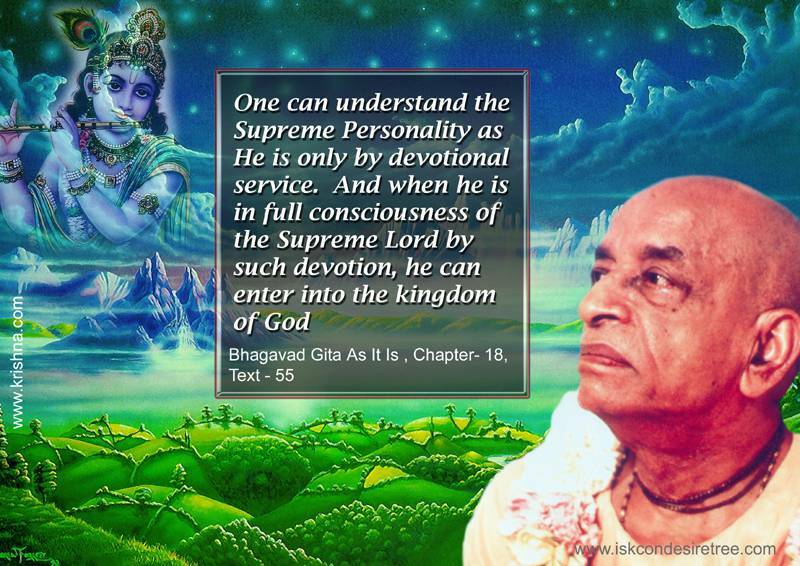 One can understand the Supreme Personality as He is only by devotional service and when he is in full consciousness of the Supreme Lord by such devotion, he can enter into the kingdom of God. — Bhagavad Gita, 18.55. 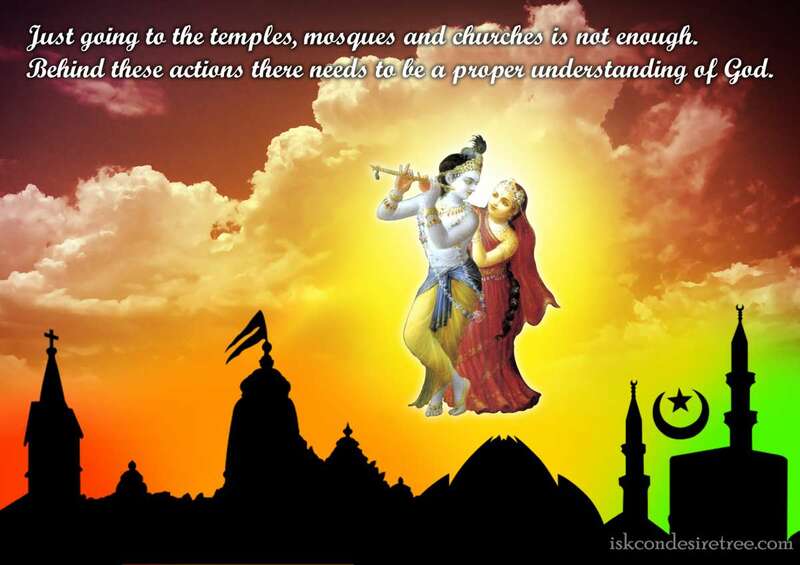 Just going to the temples, mosques and churches is not enough. Behind these actions, there needs to be a proper understanding of God. Whether they know it or not, the object of all philosophers’ search is to understand Krishna. We cannot understand Krishna by the academic method.